In my continued effort to find a Korean restaurant in the lower mainland that serves a Galbitang comparable to the one I had at New Seoul in the States, I’ve asked a Korean coworker for recommendations, and she suggested Wang Ga Ma in Coquitlam. Fannypack was once again my partner in crime. The Seafood Pancake ($11.95) was a decent choice to share. There were ample ingredients including my beloved squid. Also loved that the imitation crab shreds on top were nice and crisped. It was still quite oily at the bottom though but I have yet to find a restaurant that prepares it otherwise. Fannypack got the Dolsot Bibimbap ($9.50). 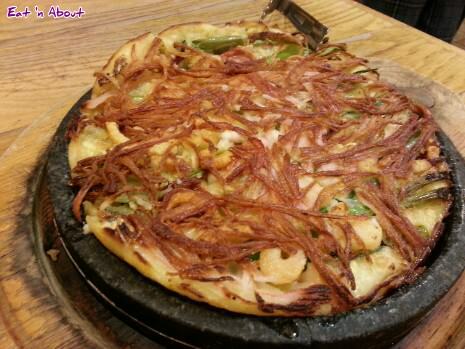 It was also a decent preparation but we were disappointed that they served it with a fried egg instead of a raw egg. There wasn’t much crispy rice at the bottom though. It also came with a side of broth. 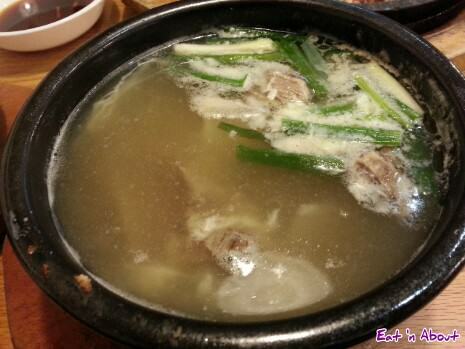 It could’ve been beef broth also but it tasted a bit different from the broth of the Galbitang I ordered. My main event was of course the Galbitang ($9.50). So how does it compare? Sadly, it just didn’t. 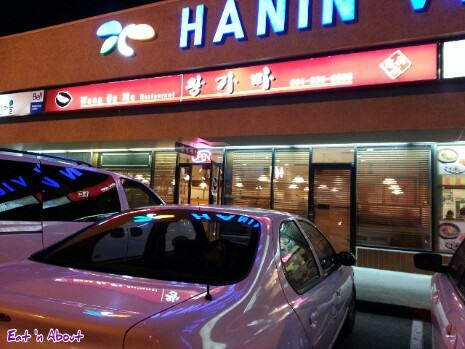 The broth just didn’t have the same depth of flavors as New Seoul. The meat on the beef rib pieces was also quite tough. Oh well, guess my search continues. 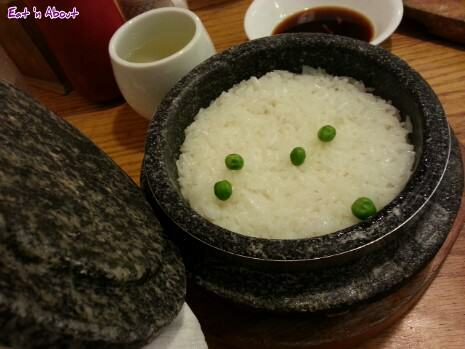 Rice that came with the galbitang- Cooked with peas in a piping hot stone bowl. Thanks for your comment! When I read it I thought “Uh oh…was I thinking of another dish that uses raw egg in a stone bowl?” So it led me to quickly google “traditional bibimbap with raw or fried egg?”. The top three results: Wikipedia, My Korean Kitchen, and Beyond Kimchee all say (in one way or another) that “More traditional and authentic versions of Bibimbap are served with raw beef and raw egg yolk along with other vegetables…” (From My Korean Kitchen). 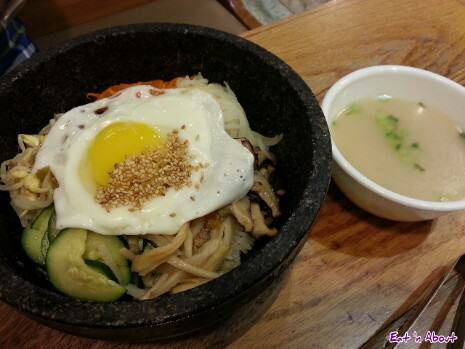 Your comment is correct also, as some of the search results say that most restaurants serve Bibimbap with a fried egg.